Formerly, CF ran apps based on Docker images in unprivileged containers, and buildpack-based apps and staging tasks in privileged containers. CF ran apps based on Docker images in unprivileged containers because Docker images come with their own root filesystem and user, so CF could not trust the root filesystem and could not assume that the container user process would never be root. 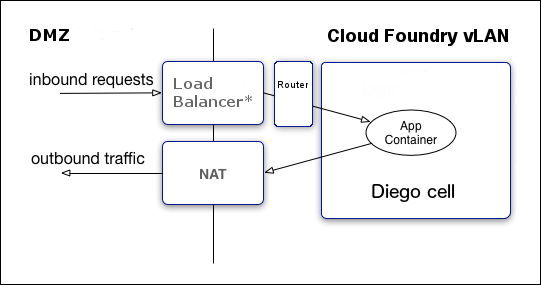 CF ran build-pack based apps and staging tasks in privileged containers because they used the cflinuxfs2 root filesystem and all processes were run as the unprivileged user vcap.